Lesson 1) what I don’t write down ultimately gets forgotten. If I want to keep track of my schedule or the films we watched last week or which book I was reading two months ago or whatever, I need to make a note of it otherwise a couple of days later it will be forgotten. Same goes for appointments etc. Because I don’t want to write in my planner until it’s the week I’m decorating (so as not to disturb a theme), I add sticky notes to my planner, which I can then remove and write in the information. 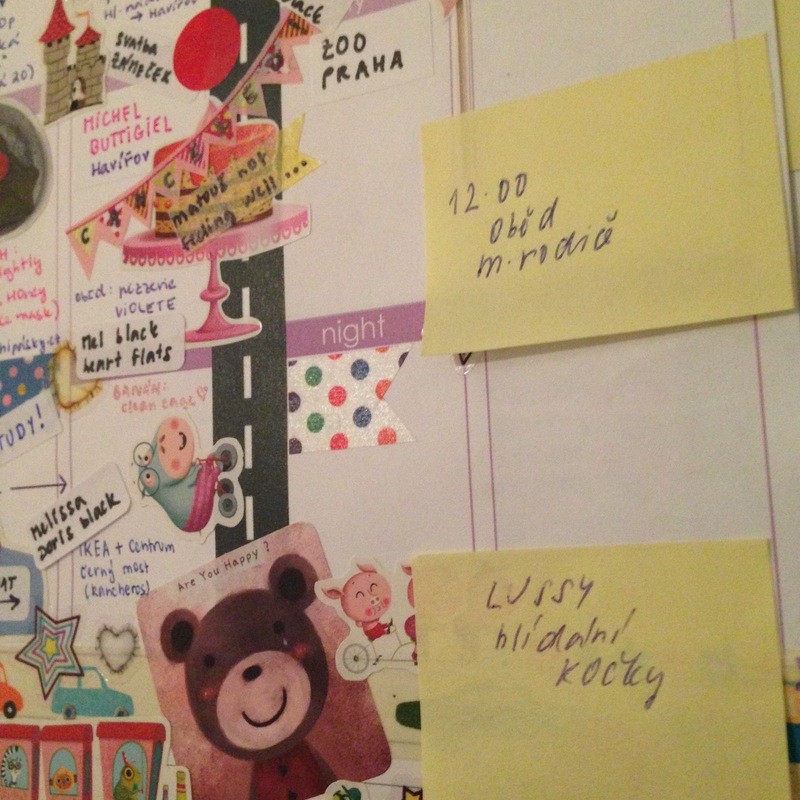 Actually, I sometimes leave the sticky notes until it’s the day of the event in case something changes. As you can see, we were supposed to go to a wedding on Friday but then M wasn’t feeling well so we canceled our attendance and I had to cross it out in my planner as it had already been written. 2) I don’t blog nearly as much as I thought I did. I didn’t really know how to use my monthly view (I just added some birthdays) and I felt it could be used for something, I have since added tags for every day that I posted a blog post and the results are interesting to see. I love that I can reference how much I blog just at a glance and I hope it will motivate me to blog more. I still think I need to add more to the monthly views. It’s missing something, isn’t it? 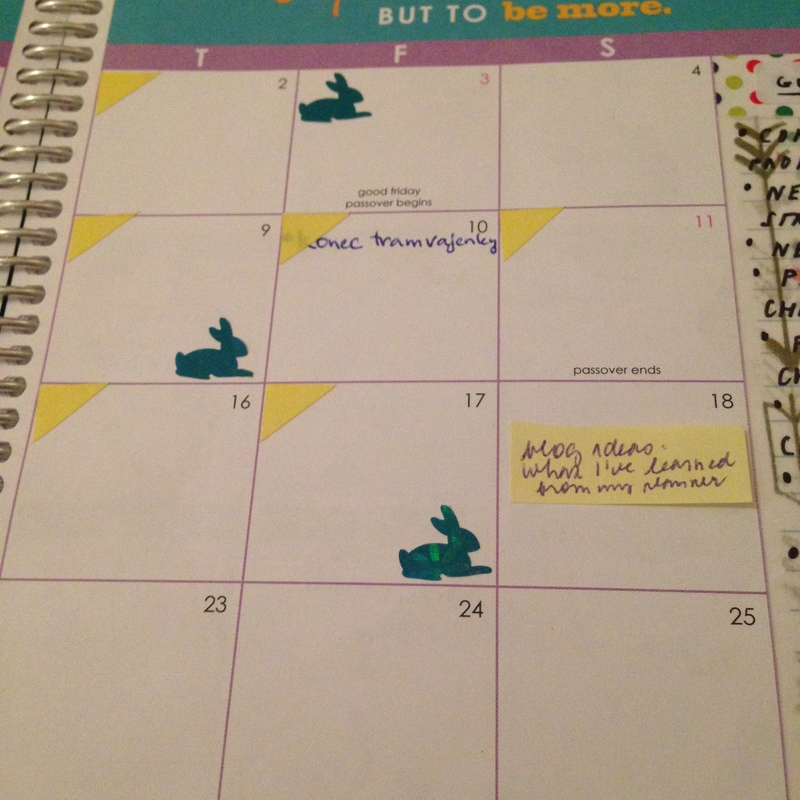 I have started adding little rabbit stickers to keep track of when I clean bunny’s cage. The pet store personnel advised me to clean the cage and change the bedding every two to three weeks but eek, that’s way too long. At the beginning I used to clean it every day but that was just crazy (and super expensive because the bedding isn’t cheap), so now I do it once a week and I put a DIY rabbit sticker for the day when that was done. I put in a monthly goals list this month, it’s things I know I need to get done and I hope to accomplish. I’m thinking of also keeping track of a few other things but I’m not decided yet. 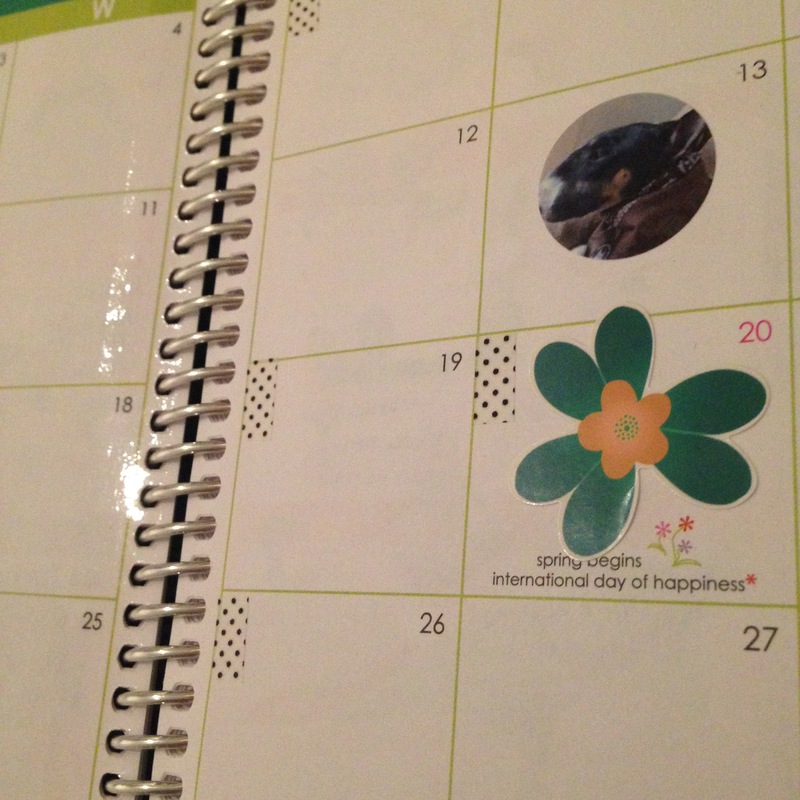 3) I love visually separating the weekend from the rest of the week with washi tape. I’ve watched a few “Plan with me” videos on Youtube and this seems to be a very popular decorating trend and I totally get it as it makes a nice decoration and every one loves washi tape, right? I also mark off if the month is ending and a new one begins with washi tape, because honestly I just love washi tape so much. I have since acquired quite a collection of washi tapes. Is there a thing as washi tape addiction? The cheapest place to get washi tapes is on ebay from China but the wait for its arrival can be very long and usually there isn’t tracked shipping either so that’s not good (usually if I don’t have tracked shipping, I don’t get the parcel. I’ve had quite a few parcels gone missing.) I have two favorite czech sites where I get my washi tapes but it can be pricey. I actually have three orders on my way to me (two of which I still need to pay, I’m waiting for the invoices to arrive.) I kind of need to stop buying washi tape at this point, it’s gone out of control! 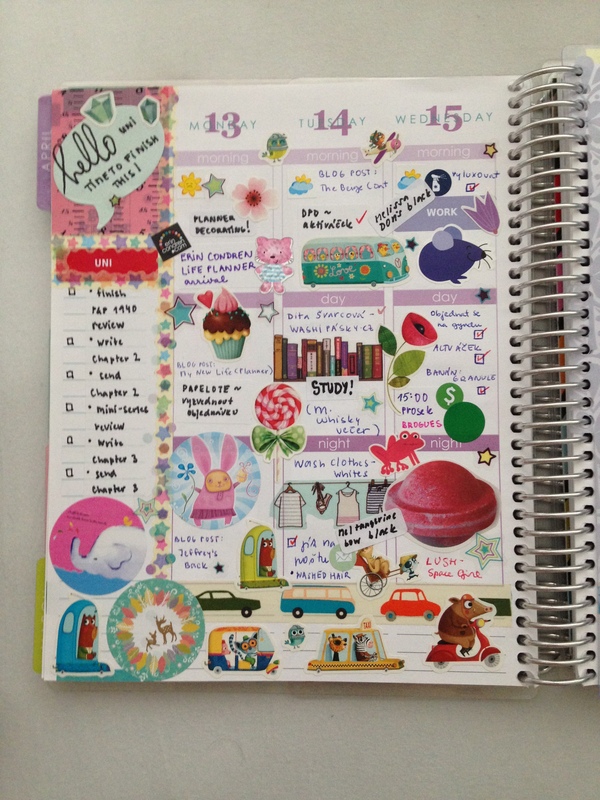 4) I love decorating my planner. I started with doing past weeks to see what works for me. I do have a tendency to go a little overboard with the decorating but I’ve always loved stickers, so I was really surprised. 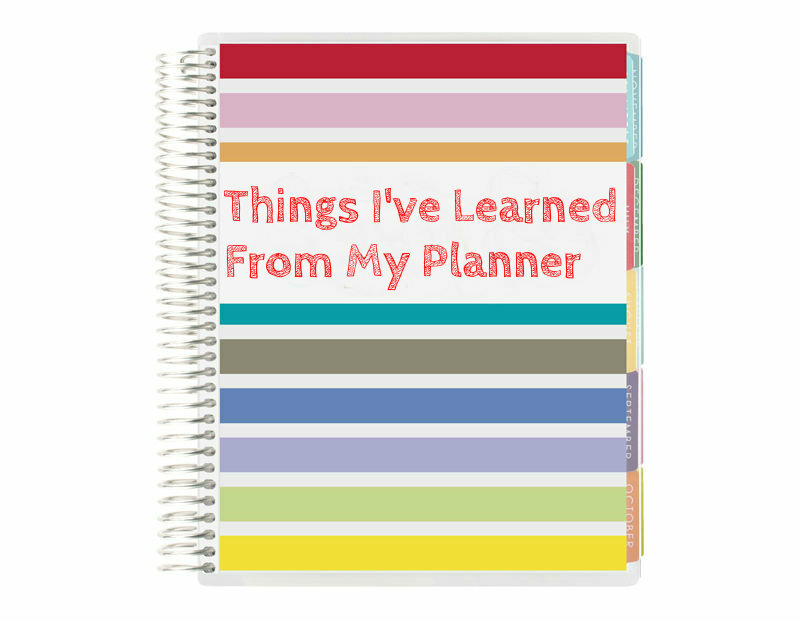 However, I have learned that I need to make sure that I leave enough space to actually write in my planner. I’ve decided that it’s best to add in the stickers at the end so as to make it cohesive and pretty. I’ve started writing down which shoes I wear. I have a lot of shoes so this is really helpful for me. I may also start documenting which shoes are pictured on the blog, we’ll see. A few things I haven’t been keeping track of but need to start are my water intake (I drink way too little and since I’ve had a bad kidney infection before, I really need to start taking better care of myself), my spending (I’ve been spending a bit too much lately so I need to start writing down how much I spend) and finally I think I want to start jotting down what I eat (just out of curiosity and to make sure I have more variety as I tend to just eat the same things over and over). 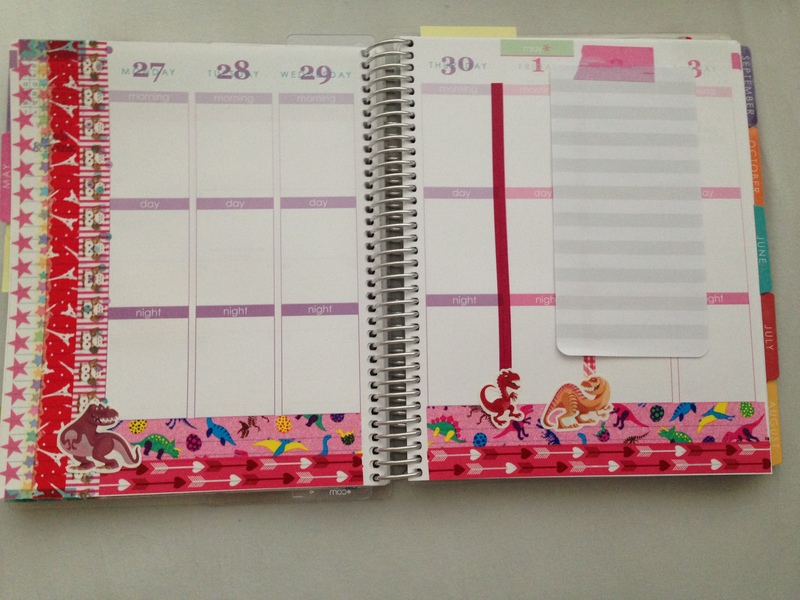 One of the things I’ve started doing to decorate my planner but it is also functional, is to use washi tape instead of stickers for things that get repeatedly done. I use a book washi for days I know I need to do stuff for school, I use a laundry washi for when I need to get the washing done and I use a film washi when we go to the cinema. Stickers can get expensive and using washi tapes instead is a good alternative, if you can find the right washi tape. I thought I’d leave you with my two favorite week lay-outs so far. 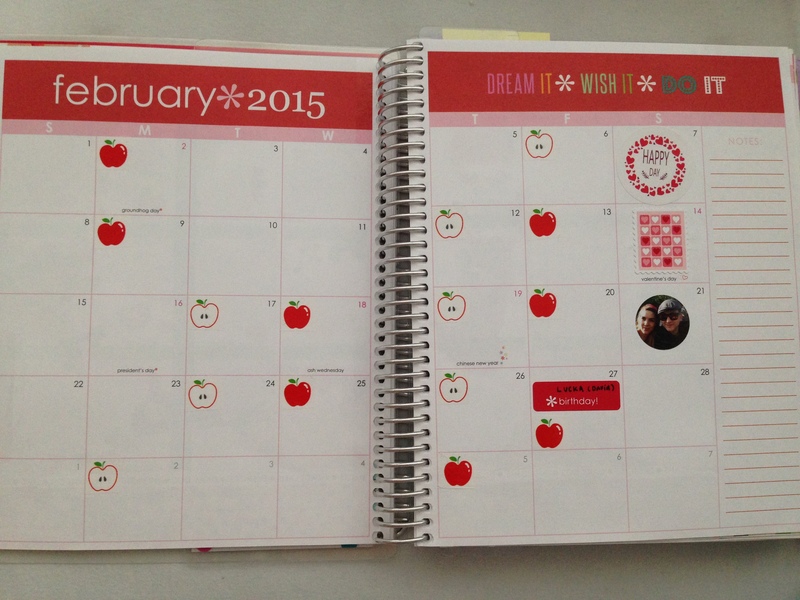 I love how the February one for Valentine’s Day week turned out. 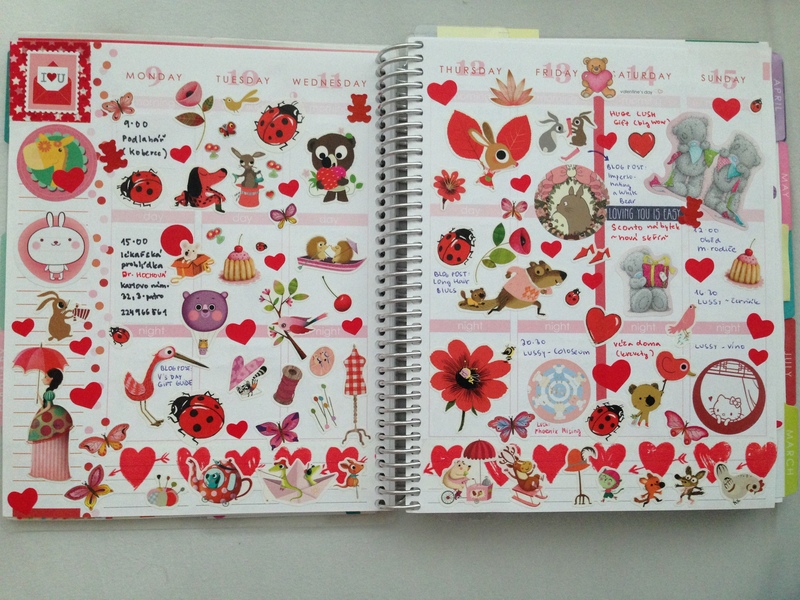 It’s very cohesive and the stickers are just so cute. And the one below is my absolute favorite so far because I love the washi tapes used, there are a bunch of rabbit stickers (and rabbit stickers are the best, obviously) and just over all I think it turned out perfect. I love washi tape. I only have about 6 rolls but it’s awesome. I keep all my loose make up lids in place with it by putting a layer inside the lid. If I’m honest I don’t totally get the appeal. 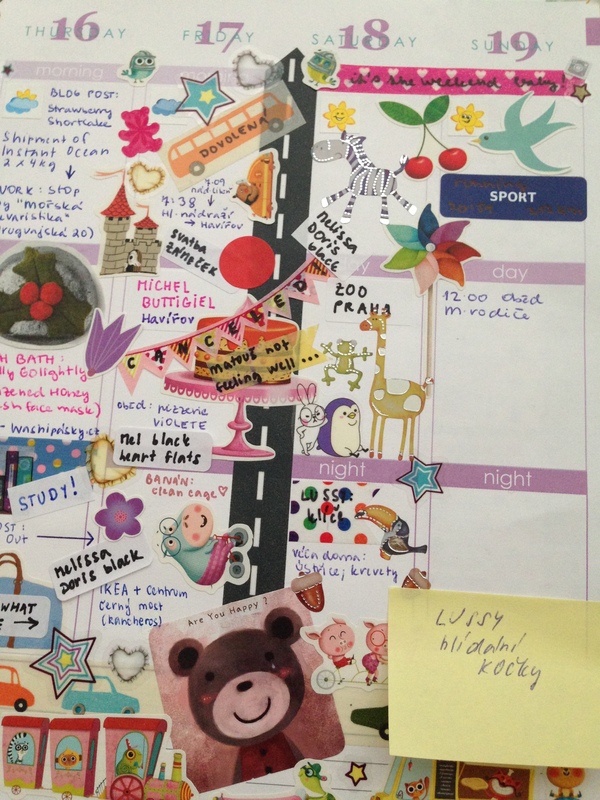 I like a ‘pretty’ notebook to plan my week (blog stuff) but it’s purely functional inside. 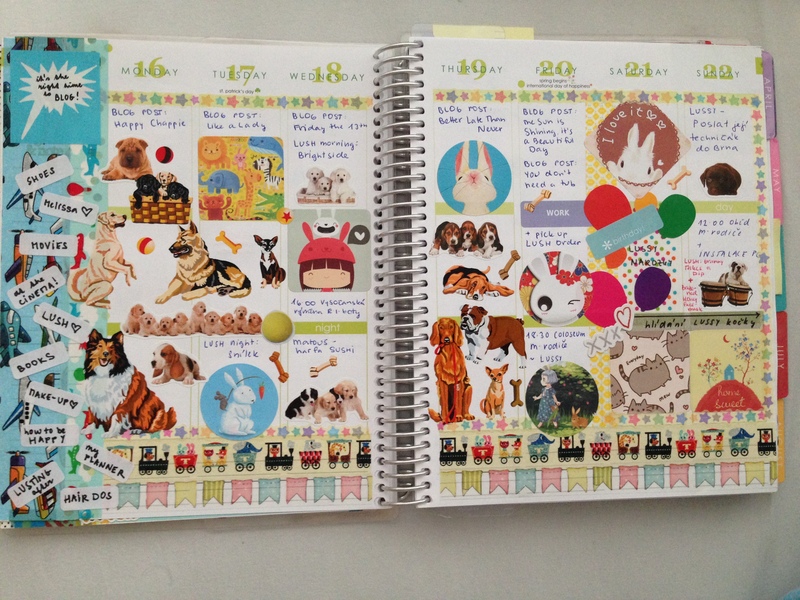 Maybe it’s therapeutic, but I think I’d find the time spent adding stickers and tape a waste and would rather be doing something more practical (but then I was never much of a diary writer even as a teenager). I agree that now I use a blog planner for the week, I couldn’t be without it, you do get addicted to writing lists and jotting notes!